You are here: Home / Bahian Culture / Oxente! Maria: Oí João, do you have my Batala CD that I loaned you a week ago? João: Oh no, sorry. I forgot to return it to you again. In fact, I’ve been loaning it out to all my friends who also love Batala’s music. 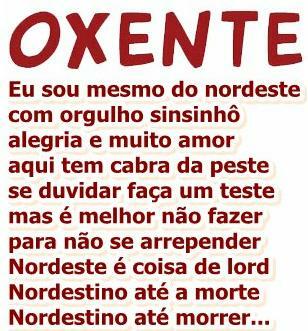 Now that you’re ready to falar baianês (speak Bahian slang), let us know in the comments below how you would use the word Oxente. Check out another use of Oxente in this song by Bahian singer Jauperi.